Company News: How many Chemists does it take to screw in a light bulb? How many Chemists does it take to screw in a light bulb? None! At Marlen Textiles, our Chemists don’t need to twist and turn to get a bright idea . . . Please welcome our latest addition, Jenny Buhr. She brings her B. S. Chemistry from the University of Missouri (Go Tigers!) to help with Marlen Textiles’ focus on new technologies and markets. Jenny was the perfect match to help us stay on top of emerging technologies and materials in order to improve product performance, and keep the company up-to-date on the latest test procedures. Welcome to Marlen Textiles Jenny! Looks like it’s a safe bet Marlen Textiles will soon be producing fabrics in 2-meter widths! That’s great news for certain fabricators, depending on the job! You heard right! Marlen Textiles plans on introducing 2-meter widths on certain fabrics and colors. After working with its weavers and then conducting a trial in its manufacturing plant and determining production equipment capabilities, Marlen is preparing to begin producing certain colors of Top Gun and Top Notch 9 in extra-wide 2 meter widths. This will allow one piece of fabric to be used, without a seam down the middle, in applications requiring fabric wider than 60 inches, saving time, labor, and more importantly, money. The release date has not yet been announced, but look for products before the upcoming season starts. An announcement will go out via email to give you advance notice of the 2-meter width fabric availability. From our family to yours… read the profile of a Father/Mother/Son fabricator business in Dubuque Iowa, started in 1951, and how they keep customers by making them happy! Canvas Products Co. is located in Dubuque Iowa and was started in 1951 by a husband-wife team. It’s currently owned by Frank and Maryann Salwolke, and their son Jacob works there as well. How did the business evolve from the early days? (Frank:) My father started to work for the original fabrication shop in 1972 and wound up purchasing the business from the original husband and wife team that owned it in 1974. My Dad then retired in 1991 and my wife and I purchased the business. Then, several years ago, our son began to work for us full-time. Currently, it’s a genuine family business: just the three of us, Frank, Maryann & Jacob. 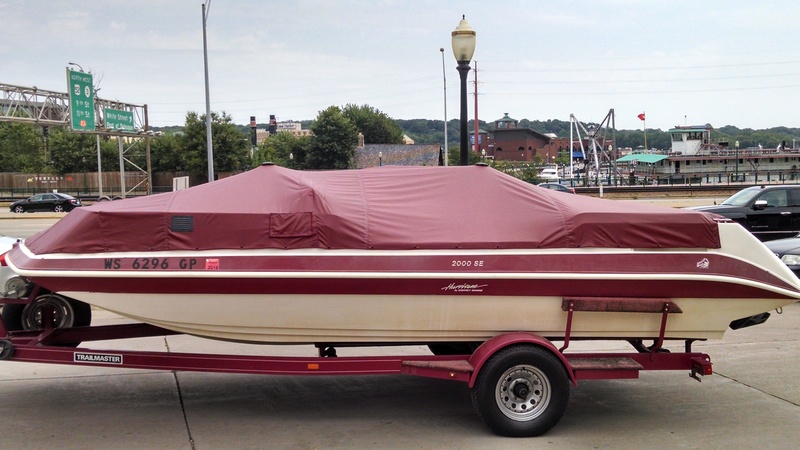 We make all types of awnings, Boat covers, truck tarps and lots of custom made items, too numerous to mention. How important is picking the right fabric to how your end product turns out? It is very important that we use the best fabric to meet the tough demands of our customers. 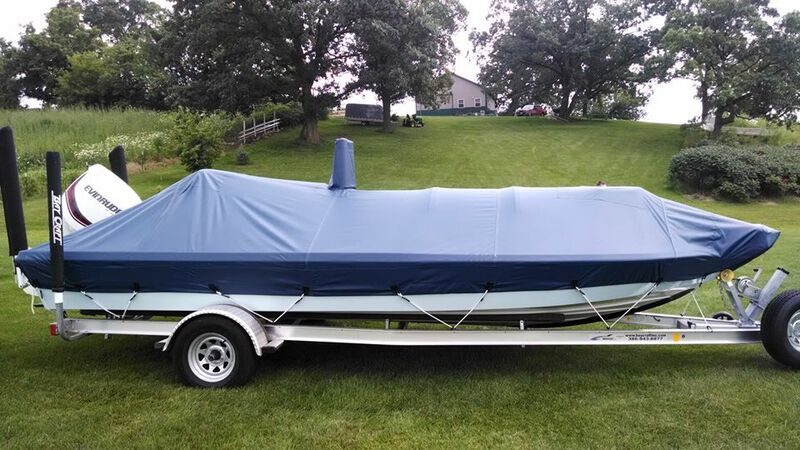 The company has been making boat covers for over 60 years and we have a reputation of making a high quality long lasting cover. We do very little advertising - most of our business is word of mouth and repeat customers. What are the most important features a fabric must have for you to use it? 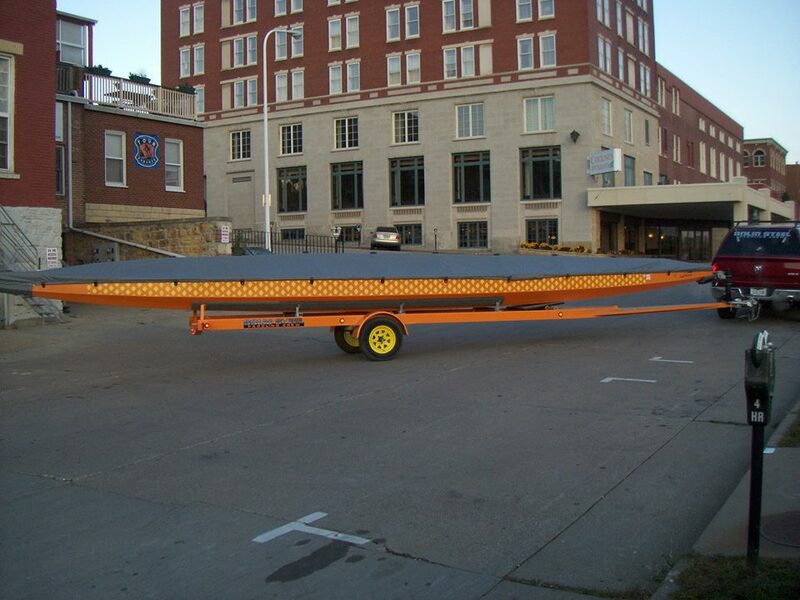 A tough and durable base fabric with a superior top coat to be able to stand up to not only the sun but to being trailered, and not only from your house to the river or lake, but hundreds of miles on the trailer. What were some of the reasons you chose Marlen Textiles' fabric? We had been using brand “A” for 25 plus years, but as of the last 8 to 10 years we had been seeing a lot of fabric failures with a lot of covers just getting past the 5 year Manufacturer’s warranty when the coating would wear so thin it would start to leak. This would occur where ever the sun would hit it. Any part below the gunnels that did not get full sun looked good though. How has using Marlen Textiles fabric helped you? We really like working with Top Gun 1S. It’s easy to fabricate and much more competitively priced. What end applications do Marlen Textiles products end up being used in? Our main product made from Top Gun 1S is boat covers, we also make grill covers, patio furniture covers, plus many more. What was your customer’s reaction to your finished product using our material? They are very pleased with the look and feel of the fabric and that there is no stretch to the fabric.